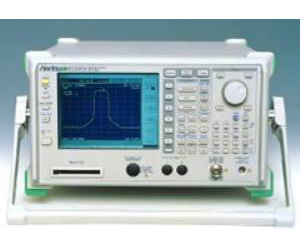 The MS2681A/MS2683A spectrum analyzers are ideal for analyzing next-generation radio communication systems and devices. They deliver optimum performance over a wide dynamic range (156 dB, typical value) with the wide resolution bandwidth (20 MHz) and high-speed sweep (refresh rate of 20 times/sec) required for evaluating next-generation technologies. They can be used not only as spectrum analyzers but also to perform various measurements easily and quickly by installing measurement software.